VOC-kade 148 Amsterdam - Ramon Mossel Makelaardij o.g. B.V.
Oostenburg Island will soon be home to De Vijzel. 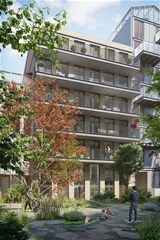 A sophisticated, highly sustainable, typically Dutch apartment building, designed by the leading architects of OZ. The building has steel doors and is built from circular concrete. It oozes the industrial style that is characteristic of the New York neighbourhood SoHo. 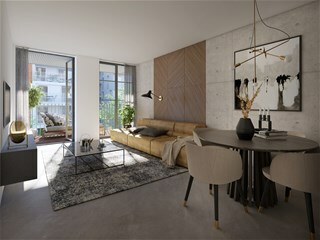 The 21 exclusive waterside apartments – from maisonette to penthouse – have floor-to-ceiling windows, are perfectly finished and will be delivered as turnkey homes. Ready for you to move in. And all this in a creative and dynamic urban living environment. With everything at hand. Oostenburg Island is rapidly becoming an exciting, waterside neighbourhood, with a rich variety of buildings and purposes. It is already popular thanks to the restaurants Roest and Rosa & Rita. Surprising initiatives and exciting concepts attracted visitors to the island’s historic Van Gendthallen for many years. Editors of the Volkskrant, Trouw en Het Parool newspapers were also located on the island in the INIT building. 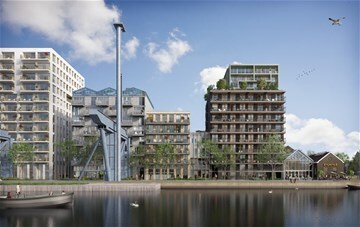 The construction of the Inntel Hotels four-star Landmark Amsterdam hotel has accelerated the redevelopment. This part of the city centre is being transformed into a typical urban district of Amsterdam: diverse, vibrant and robust. De Vijzel will soon stand out on this cool and diverse island in the city centre of this world-famous city. The home is close to the city centre and on the waterfront, with all the facilities you need available on the island. And it’s located on freehold land, so there is no ground rent. Oostenburg Island has plenty of space for individual boutiques, trendy lunchrooms, inspiring co-working spaces, unique bars and restaurants, and inspiring sports facilities. The green roofs on many of the buildings were also a conscious choice. The roofs of various neighbouring buildings are all being used for something different, from urban farming and an eco-playground to a rooftop bar with terraces. Each roof has its own inidividual purpose. 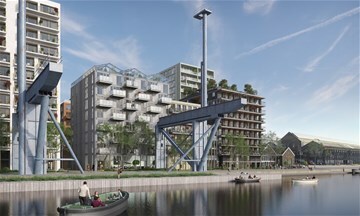 The spacious apartments are located on the Wittenburgervaart wharf. In a robust six-storey apartment building with a steel façade, an upward-folding door, re-used bricks, abundant natural light and a luxurious finish which offers every comfort. Enjoy the tranquility, the water, the city and the special island atmosphere from the comfort of your large balcony or lush courtyard garden. The island’s history is being taken into consideration as it is transformed into a new car-free city district with pleasant streets, exclusive boutiques and creative hubs. 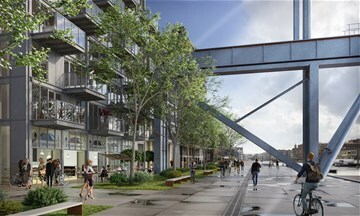 A thriving area for luxury living and fine working. Oostenburg Island will be car-free, with all the space being designated to cyclists and pedestrians. Perfect for enjoying the green space, going for walks along the water, chatting to friends on a public square, or playing outside. Cars can be parked in a special, completely automatic parking garage with a lift, within walking distance of your home in De Vijzel. 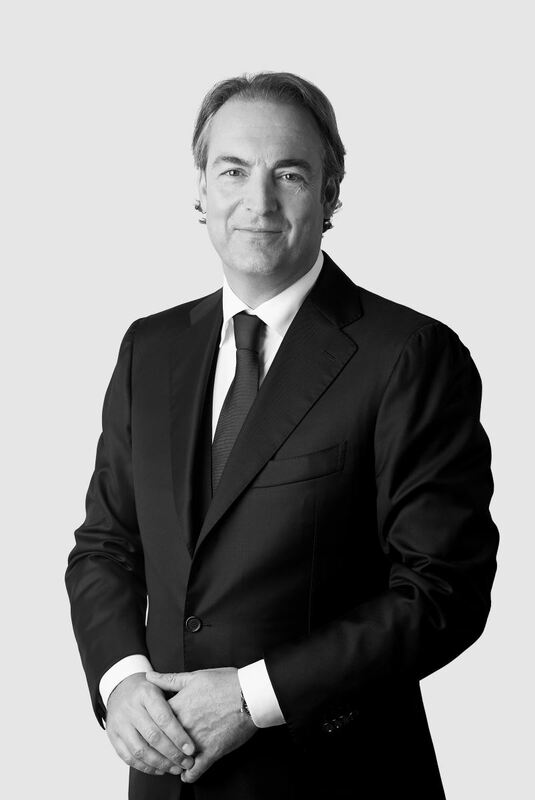 The property’s location on freehold land is not the only thing that sets it apart, it is also finished to an exceptional standard. The outstanding finish tastefully reflects the rich history of Oostenburg Island. The property is fitted with a luxury custom-designed Poggenpohl kitchen, complete with several Miele fitted appliances, a Bora four-burner induction hob with extractor hood and a Quooker Fusion 3-in-1. The home also benefits from plastered walls, solid wood flooring, stunning beamed ceilings, a luxurious Plieger bathroom and beautiful, high-quality tiles. EPC is just 0.2. This high level of sustainability is a result of smart installations and the use of high-quality materials, such as underground thermal energy storage, triple-glazed glass, solar panels on the roof terrace, a heat pump and a state-of-the-art heat recovery system. Where possible, old materials have also been resused. These measures, which contribute towards global climate goals, have kept the ecological footprint of this property to a minimum. As a resident of De Vijzel, you can make your home smarter using smart electronics: a system which allows you to control various applications around the home, such as audio equipment, lighting, thermostats, cameras and smoke detectors, from one central point. Use your smartphone to turn on the lights ready for when you get home, close the curtains, switch the heating on or put everything in eco-mode with the touch of a button. Smart electronics allow you to maximize the safety and comfort of your own home. They also help you to lower your energy use even more. The system can easily be adjusted to suit your individual needs. VOC-kade 148 is a great studio apartment with a deep balcony across the entire width of the property. There are various options for the layout, from conventional to exciting and from striking to alluring. Thanks to its high ceilings, the property benefits from a lot of natural light. This fantastic property will be given a luxurious finish throughout. 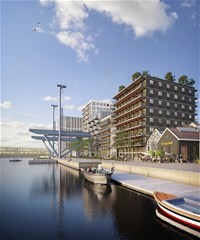 Would you like to live in this sustainable apartment on Oostenburg Island? Register your interest on the project website or by contacting our office.